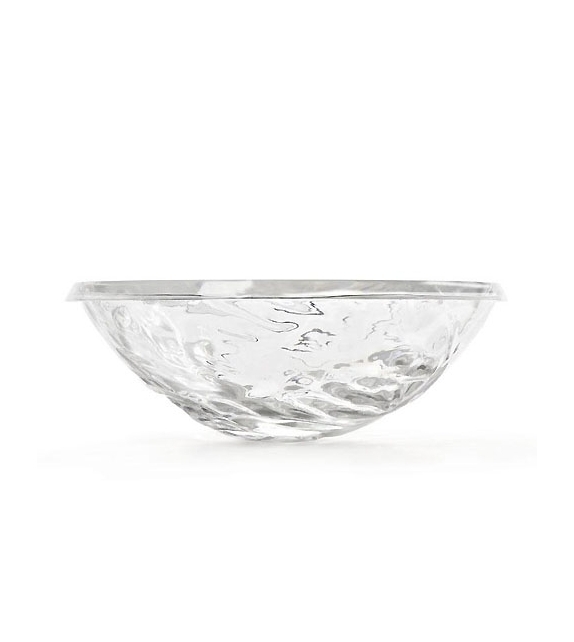 Moon is a bowl designed by Mario Bellini for Kartell. The great translucent Moon bowls, 45 cm in diameter, look like double-faced lunar caps inside and out. A sort of lenticular reincarnation of the Dune trays. 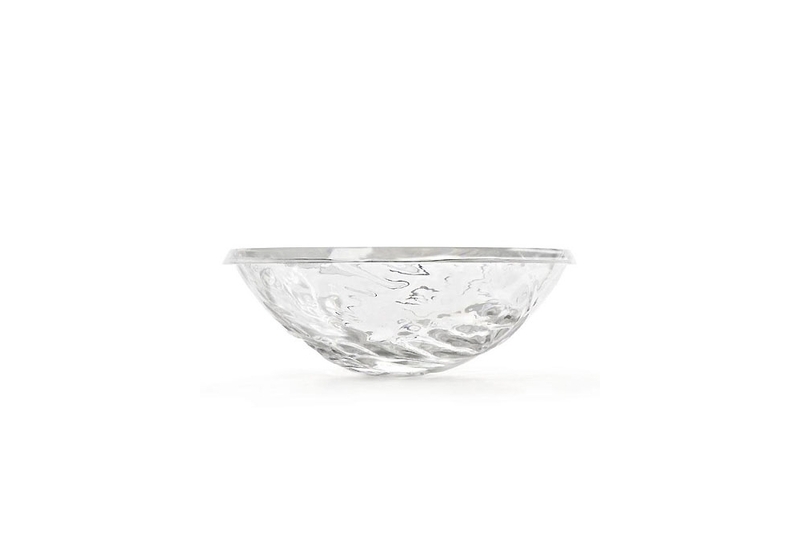 Moon is a bowl designed by Mario Bellini for Kartell. The great translucent Moon bowls, 45 cm in diameter, look like double-faced lunar caps inside and out. A sort of lenticular reincarnation of the Dune trays. But if the trays "bear", these bowls "contain". And what do they contain? Such a great variety of things: objects, decorative compositions. But first and foremost they have that same magic light as DUNE, shimmering iridescently under your gaze. A lunar show of luminous refractions, a table center or ornament which will always be the dynamic vortex of a room.